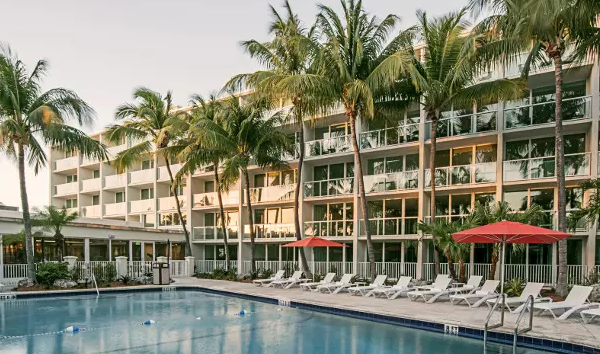 There are other Florida hotel deals you can see here, like the Bahia Mar Fort Lauderdale hotel by Hilton for $129 a night, the 3 star Plaza Ocean Club in Daytona Beach for $44 or the Hall South Beach, a Joie de Vivre Hotel for $149. Act right now, before these hotels sell out! The Amara Cay Resort is located on Islamorada, just off the coast of Key West. The resort lies right on the beachfront, it has a large outdoor pool, a restaurant, business facilities, fitness center, a gift shop, playground for the young ones, a poolside bar and Wireless Internet access throughout the property. From Amara Cay Resort you can go on a diving excursion or take a fishing trip in the ocean. The rooms and suites of the Kay West hotel have furnished balconies, 32 inch flat screen TVs, coffee makers, sitting area and king or queen beds. Before you plan your trip to Key West, you should be sure you have booked the right hotel for you. Search for similar offers in the box and you may find even more affordable prices.